When it comes to BMX, there’s only one name that comes to our mind- Sharptune. Spearheaded by Deepak Panchal and team travelled across the country planting seeds of BMX in the minds of aspiring youth. 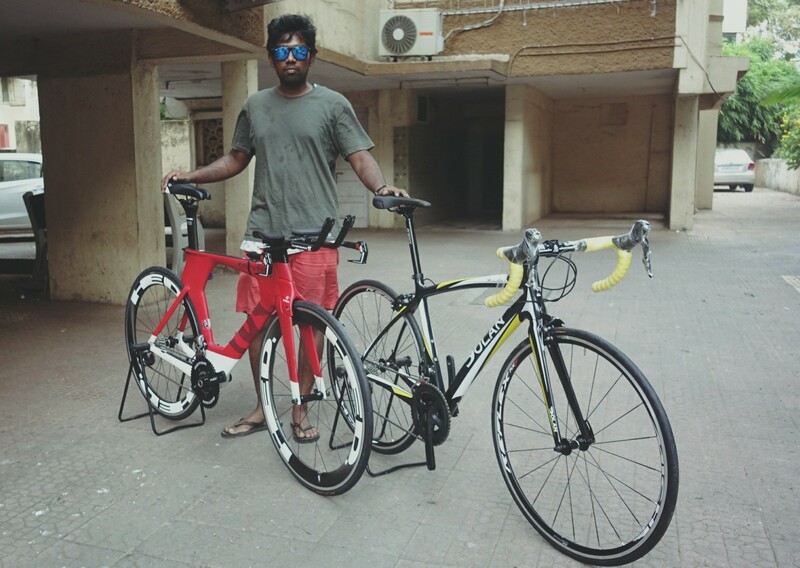 To bring you more insight into this lesser known cycling category, we got in touch with Dipak who shares insights into his life and the inception of Sharptune. What was your first box bike? My first bike was an Avon Universal BMX, bought second hand for INR 200. When did you get into BMX? My elder brother used to do Wheelie’s on a bicycle, and as a kid, I was so stoked seeing him do cool stuff. It was 1998, We used to watch XGames on ESPN on TV back in the day and try and imitate the tricks we saw. Then in 2004, I met a few BMX riders, and it changed my life, that’s when the progressive riding started. Enlighten us with the sharptune Story. How did it unfold? As a kid I’ve spent my childhood working part-time at several motorbike garages, Sharptune has always been there, it was only not in physical form. I’ve manned Bombays first Hi-end bicycle store “Gear the Bike Shop” from 2007 to 2012. After the closure of Gear, I used to work as a freelance bike mech from home and offer home service. 2017 myself and my childhood friend joined forces and started the physical shop. We sell several brands of high-quality bicycles and accessories. We are importers and distributors for pro BMX bikes, spares and accessories. What’s your favourite cycling spot? Willson College sidewalk, always and forever. One bicycle part you cannot live without? I like innovation, so I cannot put my heart on one component per se. These are several Components on my BMX that need to be of a specific kind than of any brand. 2 Cannot ride without Sealed bearing hubs. 3 Above two are the ones I’m most fussy about. Everything else I can live with. 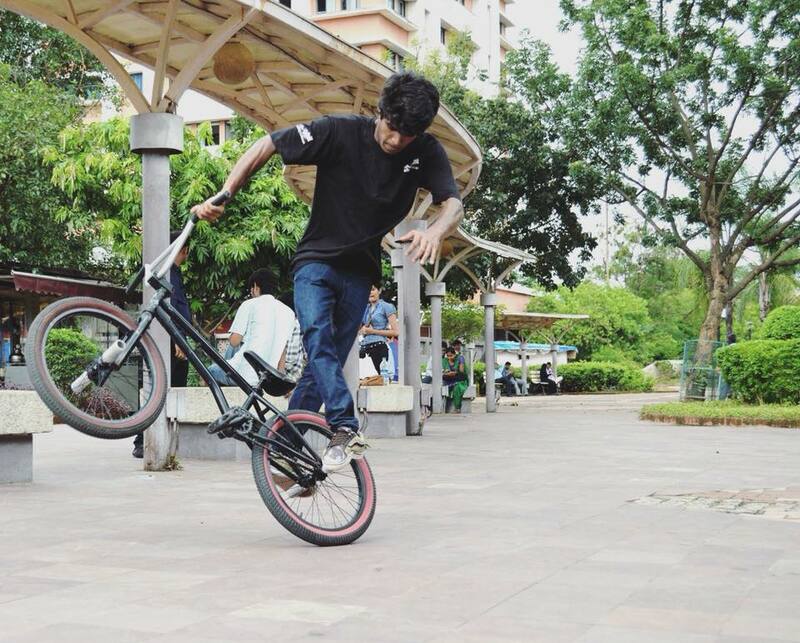 How has Sharptune contributed to the BMX scenes in Mumbai? We take great pride to be the only professional team that has travelled across the country doing events and BMX demos and planting seeds of BMX in the aspiring youth. It started a movement and it’s a popular global youth culture. Today the scene has grown on a tremendous scale there is a BMX scene happening in every major city of our county. We support some of the highly skilled riders who cannot afford components or need help in attending events. 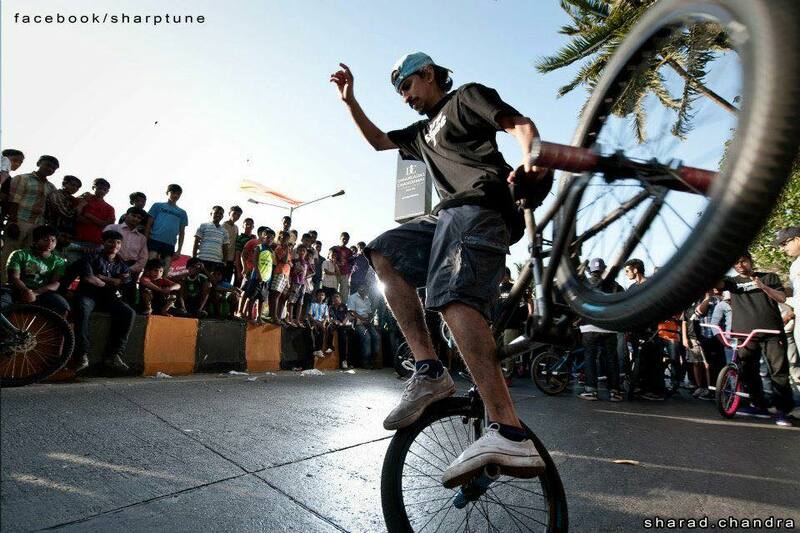 We also organize and execute several prestigious BMX competitions and jams in India. 2. Jam Of The Clans. 3. Himalayan Mountainbike Festival BMX Comp. What has BMX taught you in life? Its taught me that failure is motivation, Its taught me self belief. Its taught me to be patient and the thing will come with practice. Its taught me brotherhood. And Most important Its taught me to work hard and follow your dreams. Where do you see BMX cycling in the next 10 years? There is a lot of underground talent. 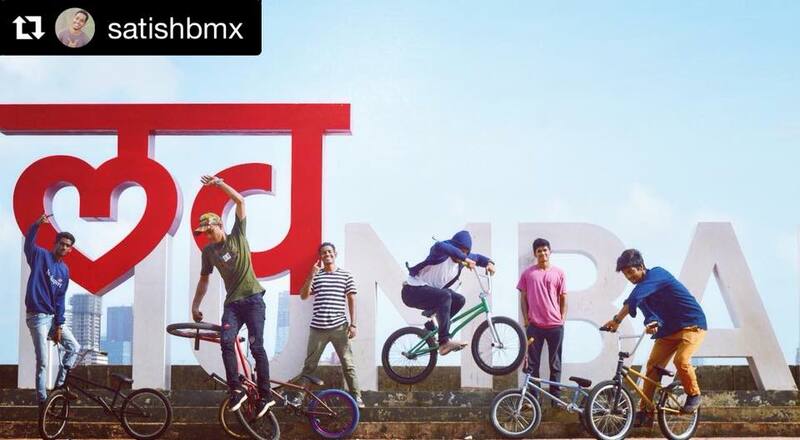 Mumbai is the heart of the Indian BMX scene There has been a lot of progressive riding coming from Siliguri, Guwahati, Shillong. We need the right infrastructure to nurture these young athletes and build several facilities for all forms of the sport. BMX racing and BMX freestyle have officially become Olympic Sports. If we get the authorities and the government to support us, then surely we see great scope of medal-winning athletes coming from INDIA. What advice would you give to those who want to get into BMX? Ride with your friends, not against them. Be patient, some tricks take time to learn. 3. No Other brands, pro bikes are expensive. Best service you offer at Sharptune? We offer the best service for your bicycle.